The fact that Cooley’s campuses are located in cities considered among the best places to live in the nation may surprise some people, but it won’t surprise anyone at Cooley. These exciting cities are near all of Cooley’s Michigan and Florida campus locations, whether Ann Arbor, Auburn Hills, Grand Rapids, Lansing or Tampa Bay. This post, the third of a series by Sharon Matchette about Cooley’s great campus locations, focuses on Lansing. 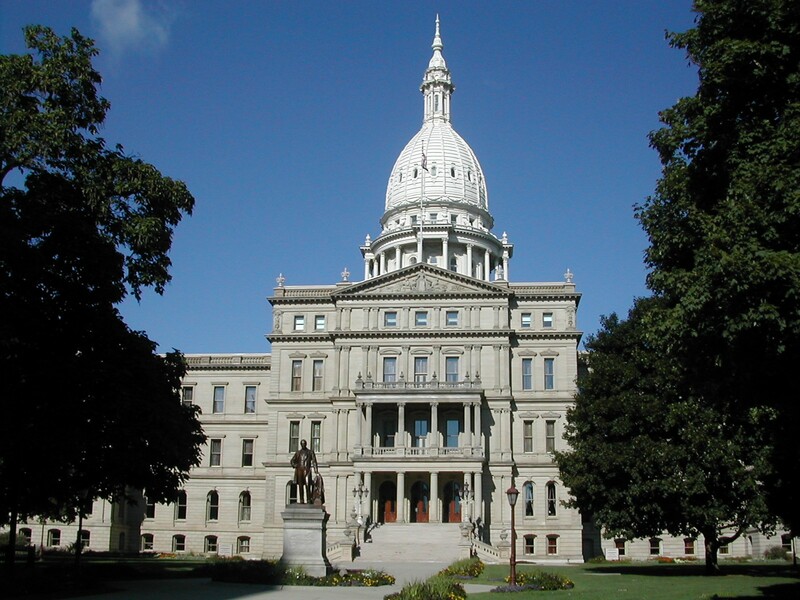 Cooley’s Lansing-based students, faculty, and staff have access to the one of the nation’s most vibrant university communities that also happens to be the seat of state government. As Lansing’s annual Common Ground music festival gets underway, residents and visitors alike are reminded just how much there is to do in the state’s capital city. Common Ground has been part of the Lansing entertainment scene since 2000 and features six days of national acts on various stages in Adado Riverfront Park. Such familiar and popular acts as Earth, Wind and Fire, the Violent Femmes, and 311 grace the main stage, while two other stages provide an equally lively entertainment line-up. Music runs each night 5:45-11 p.m. Occurring during the Common Ground Week is the annual Color Run, otherwise known as “The Happiest 5K on the Planet.” This event features runners dressed in white who are splashed in color on their way to the finish line. The event, which takes place July 12, raises money for charities; in 2014, the organization has partnered with Kelleigh’s Cause and the Sparrow Children’s Center. The start-line window opens at 9 a.m. with waves of participants going every few minutes. Come on out and watch the colorful fun. Ongoing things to do in Lansing include the Impression 5 Science Center with its interactive exhibits to spark families’ interest in science, the Michigan Historical Museum, Potter Park Zoo, the historical State Capitol Building; the Lansing River Trail, a scenic trail that stretches from Jolly Road on the south end of town to Old Town on the north end. Hikers can also pick it up at Potter Park and walk all the way over to Michigan State University. In all, about 13 miles of paved trail meanders through numerous parks, natural areas, and downtown Lansing. Because of the proximity of Michigan State University “next door,” East Lansing is considered an equally accessible location for attractions, events, eateries, and nightlife. The area’s visitor website highlights the fun in both Lansing and East Lansing, as well as in surrounding areas. For sports fans there is the Lansing Lugnuts baseball team, playing at Cooley Law School Stadium in Lansing, and the full roster of Michigan State University sports active during the academic year. For professional sports fans, Detroit — featuring the Lions, Tigers, Pistons, and Red Wings — is about 90 minutes away. For those not wishing to make the drive, however, many pubs and restaurants in Lansing and East Lansing show the games on TV. Even going to the movies in Lansing has some special twists. In addition to the standard movie theaters, Celebration Cinema has Studio C in Okemos, featuring Oscar’s Bistro where patrons can order their food and take it into the auditorium or just eat in the café, or, for those who ante up for the premier seats, the wait staff will assist you during the show with your food and drink orders. Come and visit Cooley’s Lansing campus. We we be glad to show you around! Cooley has campuses in the great Michigan locations of Ann Arbor, Auburn Hills, Grand Rapids, and Lansing. Today’s post by Sharon Matchette highlights just some of what the equally great Tampa Bay, Florida area has to offer to students attending Cooley’s Tampa Bay campus, which opened in 2012. 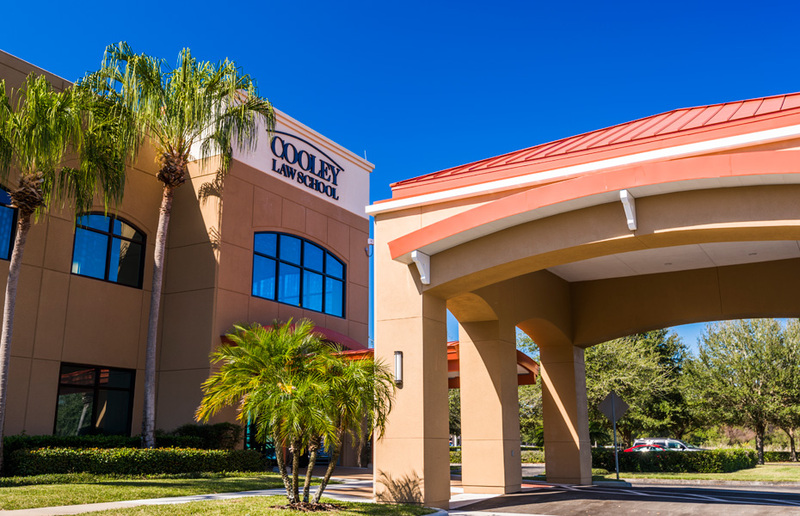 The Tampa Bay, Florida, area, located on the west coast of the “Sunshine State” near the Gulf of Mexico, is home to Cooley Law School’s campus in Riverview. Forbes named Tampa as the Fifth Best Outdoor City in America, The Pew Research Center called Tampa the fifth most popular place to live, and the Washington Square News ranked Tampa as a top city for “20 somethings.” The area is home to several sports teams, including the Tampa Bay Buccaneers NFL football team, the Tampa Bay Rays major league baseball team, and the Tampa Bay Lightning NHL hockey team. Between the beaches, the historic sites, and the sports, cuisine and nightlife choices, the Tampa Bay area is a vibrant location, steady in its growth and attractiveness to tourists and residents alike. Students also find a welcoming home here. In addition to Cooley, the area is also home to the University of South Florida and the University of Tampa. There is much to do and see in the Tampa area, including such attractions as Busch Gardens, the Florida Aquarium, and the Lowry Park Zoo — many of which are geared up to offer special attractions for the upcoming Fourth of July celebration. Busch Gardens, at 10165 N. McKinley Dr., Tampa, is a unique blend of thrilling rides, live shows, restaurants, shops, games, and one of the country’s premier zoos. From July 3-Aug. 10, Busch Gardens in Tampa hosts “Star Spangled Nights,” with extended fireworks July 3-5. The Florida Aquarium, at 701 Channelside Drive, Tampa, is one of the top aquariums in the country, with over 20,000 sea creatures. Visitors can experience sharks, alligators, otters, penguins, and more! For the upcoming holiday, the aquarium will also host fireworks. Lowry Park Zoo, 1101 W. Sligh Ave., Tampa, was named the #1 Zoo by both Parents Magazine and Child Magazine. The zoo boasts about 1,000 animals, including manatees, koalas, elephants, tigers, penguins, giraffes, orangutans, and more, along with water play areas, rides and educational shows. From July 4-6, military personnel with ID and up to three dependents may visit for free. For many of these locations, visitors can get a break on admission prices with the Tampa Bay CityPASS. This is a booklet of admission tickets to five must-see tourist attractions in Tampa Bay, including Busch Gardens Tampa, The Florida Aquarium, Lowry Park Zoo, Clearwater Marine Aquarium, and a choice of either the Chihuly Collection of art works, or the Museum of Science and Industry. There is so much to do in the Tampa Bay area, it’s easy to run out of time. The TripAdvisor group has tried to help by ranking some of the attractions. Coming in at #1 is The Tampa Theater, 711 N. Franklin St., Tampa. Beer fests, wine tastings, classic movies combine to make this a destination for many visitors. Coming in at #2 of 88 attractions is Big Cat Rescue at 12802 Easy St., Tampa, where visitors get an up-close look at the wildflife. The rescue is a Certificate of Excellence winner in 2014..
Come and visit Cooley’s Tampa Bay campus. We know you will love what you see!